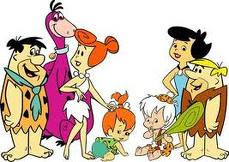 The stone age family from Bedrock celebrated their 50th anniversary today and what's really amazing about that is how well the cartoons created in the 60s hold up today. Unlike real life sit-coms from that era, the Flintstones seem to transcend time and generate new generations of fans with every passing year. It first aired in 1960 and ran for six seasons. Many thought it was a rip off or homage to The Honeymooners which was the biggest television show at the time but the creators dismissed any similarities as merely coincidental........uh huh. When it was eventually cancelled, a movie was made to parody or style the big film character of the day, James Bond. 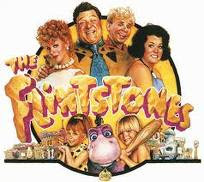 The movie "The Man Called Flintstone" is a classic and is far better than the real life movie version of the Flintstones that came out in 1994 starring John Goodman and Rosie O'Donnell. Having said that, the real life movie versions did have two redeeming qualities - Haley Berry and loin clothes............. nuff said. The Flintstones was never meant to be a kids show, it was the first adult themed animated show that inspired many of today's adult animated series, most notably the Simpsons and Family Guy. One of their first sponsors back in 1960 was Winston cigarettes so it's pretty safe to say we've evolved a bit in terms of political correctness since the 60s when it comes to advertising. 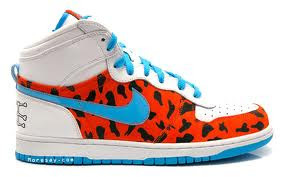 Having said that, our evolution hasn't prevented us from coming up with stupid ideas like the Flintstones Nike High Tops. Yabba Dabba Do indeed.